Please suggest theme and venue. Are there any more romantics out there who need an excuse not to be at home on Tuesday? TLO full that evening, as indeed will be most places on 14th February. If wanted, and if we are few, I could accommodate. Four maximum, say. I have glasses, but no food. DRT wrote: Please suggest theme and venue. Theme - it being Valentine's Day, surely the theme should be Pink Port? jdaw1 wrote: If wanted, and if we are few, I could accommodate. Four maximum, say. jdaw1 wrote: I have glasses, but no food. Do you have facilities to cook food (other than just microwave pies)? Or we could order in? Or we could just have a night on the beer, somewhere close to where AHB needs to catch a train home? DRT wrote: Do you have facilities to cook food (other than just microwave pies)? Or we could order in? DRT wrote: Or we could just have a night on the beer, somewhere close to where AHB needs to catch a train home? 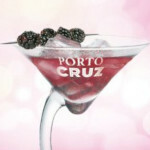 AHB wrote: Theme - it being Valentine's Day, surely the theme should be Pink Port? What you drink when you get home is up to you. I was trying to decide which particular pink port I own and would bring if we decided to make Pink Port our theme. Would Cockburn 1912 be sufficiently pink? Last edited by AHB on 20:26 Sun 12 Feb 2012, edited 2 times in total. AHB wrote: Would Cockburn 1912 be sufficiently pink? Works for me. Can we take our own bottles or do we just buy from the bar? I've never drunk at Gordon's before, so don't know the form. We could simply turn up prepared to drink our own stuff but also buy from the bar. Gordon's is probably the most convenient suggested venue for me so far, and I do need to leave pretty promptly at 7-7:30. Given the modest drinking window that I have, perhaps a theme could be Vintage Port in small format. AHB wrote: a theme could be Vintage Port in small format. You mean really small (750), or can we also allow medium (1500)? I was leaving the definition of small to the reader. AHB wrote: I've never drunk at Gordon's before, so don't know the form. We could simply turn up prepared to drink our own stuff but also buy from the bar. Gordon's is probably the most convenient suggested venue for me so far, and I do need to leave pretty promptly at 7-7:30. Although it may be different on the 14th, Gordon's is tiny and usually packed, with table space at a premium. I'm not sure what their attitude to bringing bottles might be, though since it is far more of a wine bar that serves some food rather than a restaurant with a wine bar, they may be more keen on selling stuff from the bar than, say, Davy's. My advice for going unannounced would be to stand at the bar and quaff away at what they have in the barrels, enjoying one of the few places in London where glass tumblers of fortified wines are the main attraction. Last edited by JacobH on 23:20 Sun 12 Feb 2012, edited 1 time in total. Given AHB's planned early departure, and Jacob's caution regarding table space, I would be happy to just meet at Gordon's for a pint of port from the bar and then, once AHB staggers to his train to see his sweetheart, those who are left can decide whether to stay at Gordon's or move on. This could be the only Port tasting we have ever had where no one brings any Port. Works for me. There would remain the possibility of emergency port in Holborn. My meetings on Tuesday will be done by 4:30. Given that I will be within walking distance of El Vino on Fleet Street, that they cook very fine chips and have an eminently acceptable port list, I suggest we meet there as soon after 4pm as possible. We share a bottle of port and a bowl of chips between us and then I rush home. First one there chooses the port. I might add that they also offer a very tasty, hand raised pork pie. Excellent. We have a date. regrettably i will have to miss my first London-based TPF offline event in many months. Have fun. If you do drink a bottle of El Vino's marvellous F77, please don't rub it in until tomorrow!! RAYC wrote: regrettably i will have to miss my first London-based TPF offline event in many months.